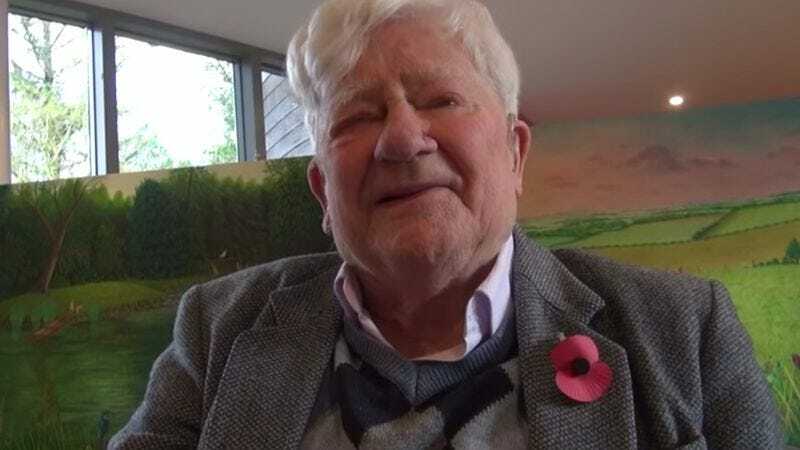 The BBC reports that Watership Down author Richard Adams has died at the age of 96. According to his daughter, Juliet Johnson, Adams had been “ailing for some time,” but “died peacefully” on December 24. The English novelist was born in 1920 in Wash Common, England. He studied modern history at the University of Oxford before being drafted into the English army in 1940. He was in active duty until 1946, when he returned to Worcester College. After graduating in 1948, he joined the British Civil Service; first as part of the Ministry of Housing and Local Government, then in the Department of the Environment. The steady job allowed Adams to provide for his family, including his two daughters, for whom he’d begun to craft the fraught tale of Watership Down. They encouraged him to publish it, which he did via Rex Collings in 1972, though only after meeting with rejection from several other publishing houses. Watership Down centers on the Sandleford rabbits, led by Hazel, who seek out a new home after the prophetic Fiver has visions of the destruction of their warren. The allegorical work incorporates themes of tyranny and individualism, while also borrowing the heroic epic framework from such classics as The Aeneid and The Odyssey. The book was an instant hit, and went on to sell over 10 million copies, and has been translated into 18 languages. Watership Down has also been adapted for TV and film, with Netflix reportedly developing another animated iteration with a voice cast that includes James McAvoy and Nicholas Hoult. Adams’ debut novel was ultimately his most significant work, winning him the Carnegie Medal and the Guardian Children’s Fiction Prize, something only five other British authors have accomplished. He wrote over a dozen books, including Shardik and The Plague Dogs. He served as a Royal Society of Literature fellow, as well as a writer in residence at multiple American universities. Adams’ influence continued well into the 21st century; an audio version of Watership Down, narrated by the late actor Ralph Cosham, premiered in 2010. The late author also won the first Whitchurch Arts Award for inspiration in January 2010, and received an honorary doctorate from the University Of Winchester in 2015. Adams is survived by his children, grandchildren, and great-grandchildren.